The lads of the Primary School football team in 1958. 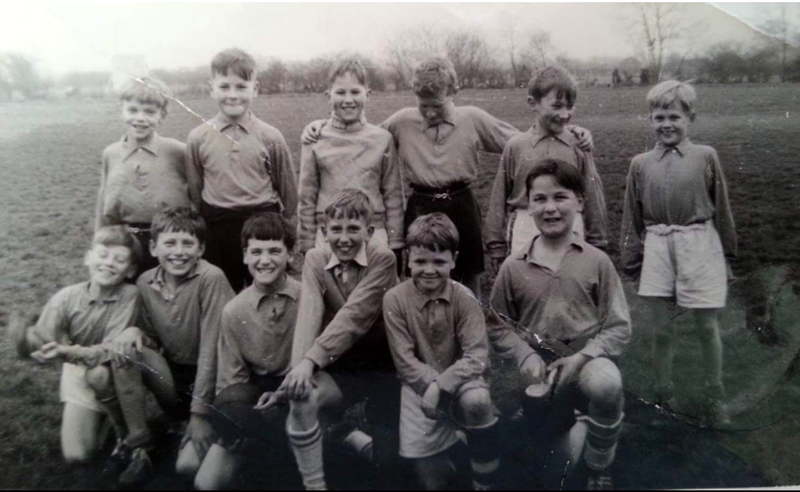 Sue and Ken Kirton sent in this picture of the boys in the Primary School football team taken by Ken’s mum in 1958.The location is the playing field by the old VC Hall on Belvoir Road. The date is notable in that this must have been the last year (or last but one) before the new High School opened. Back row, left to right: Mick Pulford, John Wright, Robin Watchorn, Micky Arnott, Paul Gilbert, Jamie Buckly. Front row, left to right: Stan Taylor, Bill Hopkins, Steven Langton, Kenny Kirton, Jimmy Parnham, Mick Gamble. Kenny tells us that they are “all alive and kicking”. We played all our games on the VC hall playing field.Huge pitch when you think U/10s play on small pitchs and goals now days. For away games in Grantham we went on the Service Bus, then changed to another to get to other places. Don’t do that now.